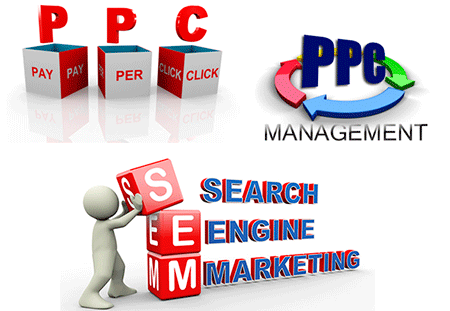 As your on-line marketing strategy advances, Pay Per Click (PPC) and SEM are the next level to consider. PPC is like SEO, but it is paid for. SEO & PPC are displayed on search result pages, but SEO is called organic and PPC is called “Paid Search”. PPC has been specifically a useful tool if your website & domain are new. SEO may takes weeks even months to show up on search result pages, but with PPC it is instant and as long as there is a daily remaining budget, your site continues to be on search result pages. For this reason, many new businesses invest in PPC heavily, at least for the first few months and then reduce their budget at later time, once their presence is established. PPC, like SEO, requires advance knowledge & know how to. It should be precise and is even more vulnerable, since you are basically paying for each click or impression (each time your ad displays). We have implemented proven methodology for deploying PPC for our clients, whether we are taking over someone else’s or deploying PPC to a new site. We normally start with developing a strategy for you Paid Search. It is crucial & imperative to have a clear strategy before start spending money on your ads. As soon as strategy established, we go through account creation & set up. We structure your PPC account based on your needs, your budget, and your local competition with well defined industry best practices. Account creation and setup is foundation and the start point. Then we start creating your campaigns, ad groups & ultimately you individual ads. We will start slow as testing & optimization of first few ads requires close monitoring & gathering data very frequently. Among many other tasks at this stage, we constantly performing variety of techniques to get precise measurements of you campaigns, including A/B testing, multivariate testing for running different version of one ad / ads and use every tool we have in our disposal to provide pin point accurate data gathering, performance & reporting. As we gather data and have a better insight on how the new ads are performing, we may modify, change or replace your ads. Once we have sufficient data, we provide you with first set of reports & continue to provide you with periodical report on detail statistic on your visitors, your ad performance, conversions, your budget & your ROI on your SEM & PPC.